3/18/19: On our final day in Sicily, we ascended Mt. 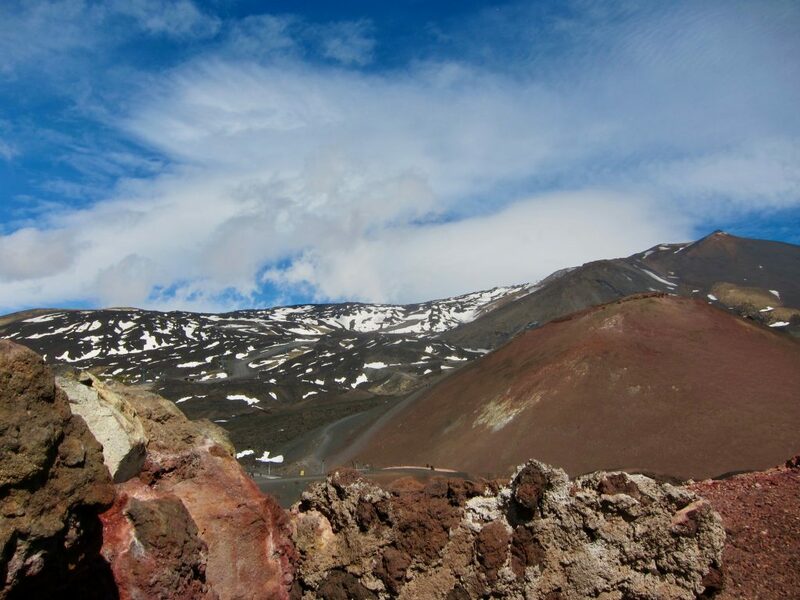 Etna by bus. The landscape was unlike anything I had seen before, as the hillsides were buried in hardened lava. The volcanic debris makes the area very fertile for plants, allowing them to emerge from the blackened ground. However, the higher up we went, the colder/windier the climate became, so plant life receded. At the lookout point, we climbed up onto the ridge of a small crater (photo taken from there). You can see some patches of snow in the background. It was extremely windy—at times I was worried I would be blown away. After our brief visit to the cold and windy Etna, we went back down to the city of Catania, which was much more pleasant. One of two major cities on Sicily (the other being Palermo), it was bustling with people. Like Ragusa and Noto, the churches were highly Baroque. Of note, the piazza at the Duomo features a small obelisk with an elephant statue. This architectural decoration definitely recalls a very similar structure outside the Church of Santa Maria sopra Minerva in Rome. 3/17/18: The final ancient site we visited was Syracuse. While ancients certainly inhabited the island of Ortigia, the settlements nearby on the mainland are much better preserved. At the archaeological site, we saw a large Greek theater (currently under restoration), a quarry, and a later Roman amphitheater. 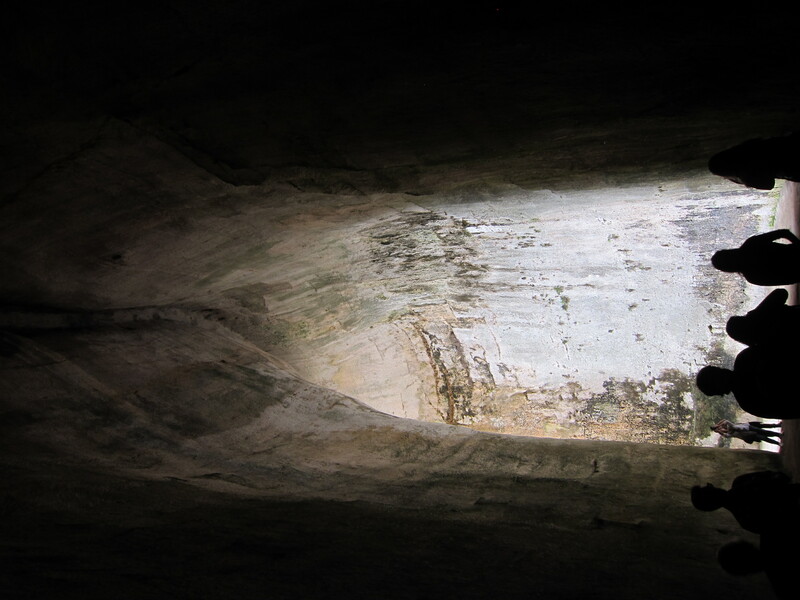 One of the most unusual features of the site is the “ear of Dionysius” (this name was given by the painter Caravaggio in the early 1600s). While it is in the same area as the quarry, the “ear” has a very unusual shape which does not seem appropriate for quarrying. Its formation and use is therefore uncertain. 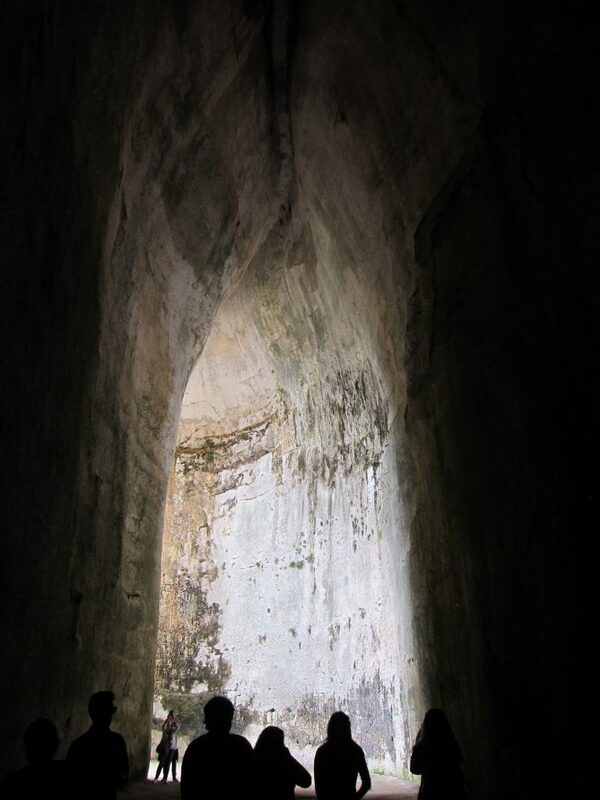 Legend has it that Dionysius, a tyrant of Syracuse in the 5th-4th century BCE, used the cave as a prison. Perhaps more likely is that it was used as a cistern. 3/16/18: We left the coast of Sicily and traveled inland to Piazza Armerina for the morning. 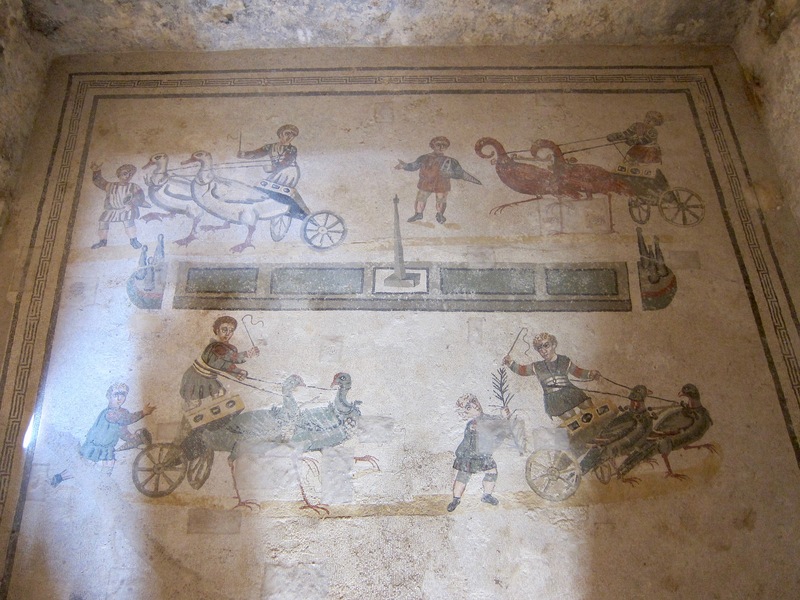 Located here is Villa Romana del Casale, a 4th century CE house whose floors are covered in elaborate mosaics. The owner of the villa clearly had a ton of money, probably from the island’s agricultural abundance. He commissioned North African and Italian artists to create the mosaics, which depicted everything from mythology to animal life to enormous hunts. One of my favorite rooms shows children racing around a circus on enormous birds. The race course mimics the Circus Maximus in Rome, with an obelisk in the middle of the spina and metae at either end. I find the giant birds (flamingos, geese, and pheasants) very comical. After Piazza Armerina, we stopped in Ragusa and Noto on our journey back to the coast. These towns feature many Baroque elements. I especially liked the color of the buildings in Noto—the local stone is slightly more orange/yellow. 3/15/18: Today, we visited our third consecutive ancient site, the Valley of the Temples at Agrigento. We saw four temples on a ridge overlooking the sea, dedicated to Juno, Concord, Heracles, and Olympian Zeus, respectively. The Temple of Concord (pictured below) is the best preserved, as it was turned into a church in the Middle Ages, and was thus the inspiration for the UNESCO logo. It is a Doric peripteral, hexastyle temple. 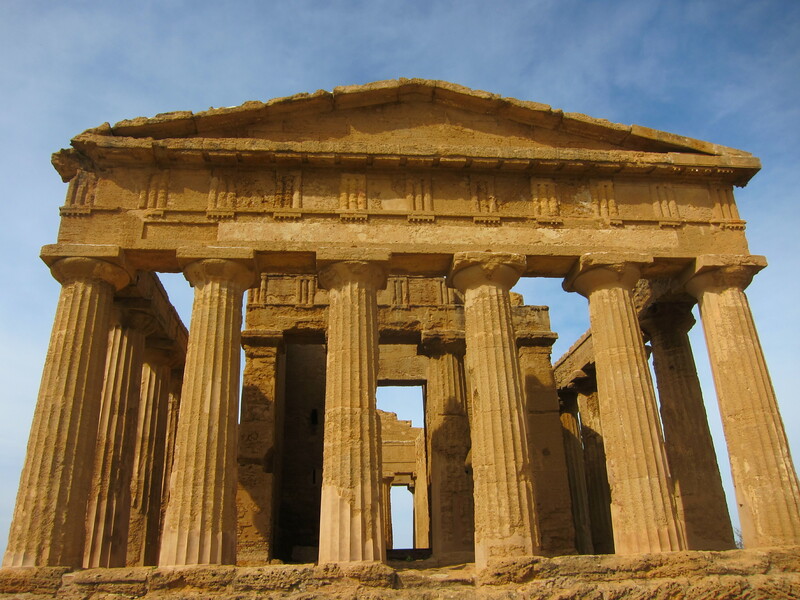 Like the temples at Selinunte, these structures at Agrigento show the wealth of this ancient city. After our visit to the ancient site, we went to the home and tomb of the 19th/20th century Italian writer, Luigi Pirandello. His house, which he had lived in since his birth, has since been turned into a museum and is filled with his letters and paintings by his sister. 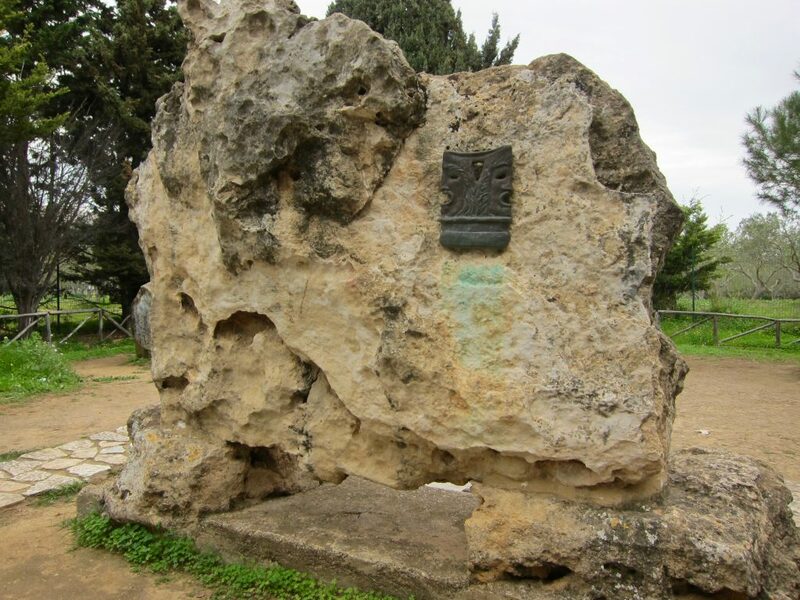 His tomb (below) is located nearby further down a cliff. The story of his burial is quite interesting and very complex, as Pirandello had specific wishes but none were followed. This monument was definitely not what he had intended. 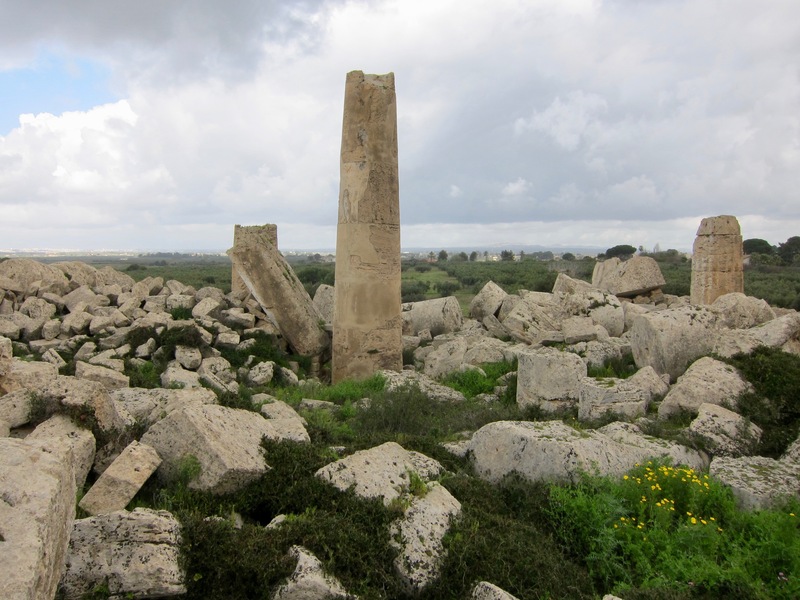 3/14/18: Today we visited another ancient site, Selinunte, the rival city of Segesta. It seems these people had enormous wealth, as there are at least three extramural temples and several inside the city acropolis as well. The city itself is sprawling and has an extensive wall and military fort for protection. One of my favorite landmarks at this site is Temple G (or whatever remains of it). One of the largest temples in the ancient world, it is now a pile of rubble thanks to time and natural disasters. Several of the columns still partially stand, and their enormous size helps give a visual of how massive this temple would have been. We were given some time to scramble around on the rocks, too, which was a very cool experience. It’s rare to find an ancient site that is so interactive.